Paul Kane has been writing professionally for almost fifteen years. His genre journalism has appeared in such magazines as Fangoria, SFX and Rue Morgue, and his non-fiction books are the critically acclaimed The Hellraiser Films and Their Legacy and Voices in the Dark. His award-winning short fiction has appeared in magazines and anthologies on both sides of the Atlantic (as well as being broadcast on BBC Radio 2), and has been collected in Alone (In the Dark), Touching the Flame, FunnyBones, Peripheral Visions, Shadow Writer, The Butterfly Man and Other Stories, The Spaces Between and GHOSTS. 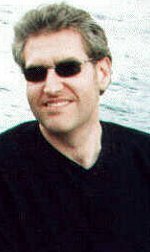 His novella Signs of Life reached the shortlist of the British Fantasy Awards 2006, The Lazarus Condition was introduced by Mick Garris - creator of Paul Kane has been writing professionally for almost fifteen years. His genre journalism has appeared in such magazines as Fangoria, SFX and Rue Morgue, and his non-fiction books are the critically acclaimed The Hellraiser Films and Their Legacy and Voices in the Dark. His award-winning short fiction has appeared in magazines and anthologies on both sides of the Atlantic (as well as being broadcast on BBC Radio 2), and has been collected in Alone (In the Dark), Touching the Flame, FunnyBones, Peripheral Visions, Shadow Writer, The Butterfly Man and Other Stories, The Spaces Between and GHOSTS. His novella Signs of Life reached the shortlist of the British Fantasy Awards 2006, The Lazarus Condition was introduced by Mick Garris - creator of Masters of Horror - RED featured artwork from Dave (The Graveyard Book) McKean and Pain Cages was introduced by Stephen Volk (The Awakening). As Special Publications Editor of the British Fantasy Society he worked with authors like Brian Aldiss, Ramsey Campbell, Muriel Gray and Robert Silverberg, he is the co-editor of Hellbound Hearts for Pocket Books (Simon and Schuster), an anthology of original stories inspired by Clive Barker's mythos - featuring contributions from the likes of Christopher Golden and Mike Mignola, Kelley Armstrong and Richard Christian Matheson - The Mammoth Book of Body Horror (Constable & Robinson) - featuring Stephen King, James Herbert and Robert Bloch - and the Poe-inspired Beyond Rue Morgue (for Titan). We’d love your help. Let us know what’s wrong with this preview of Joyland by Stephen King. We’d love your help. Let us know what’s wrong with this preview of Cage of Bones by Tania Carver.